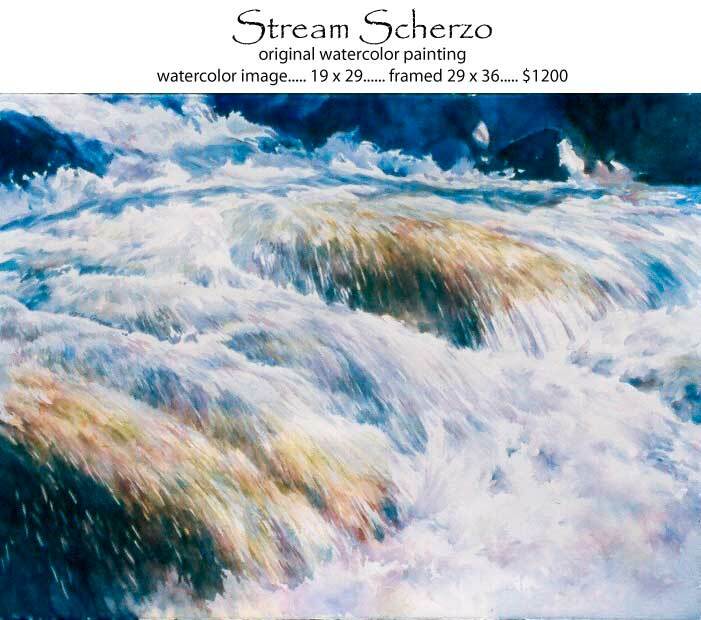 “Water Music” works are Joyce’s response to the beauty of water flowing over rocks; the dramatic motion and play of light on and through water surfaces speak to her of musical compositions and connotations. 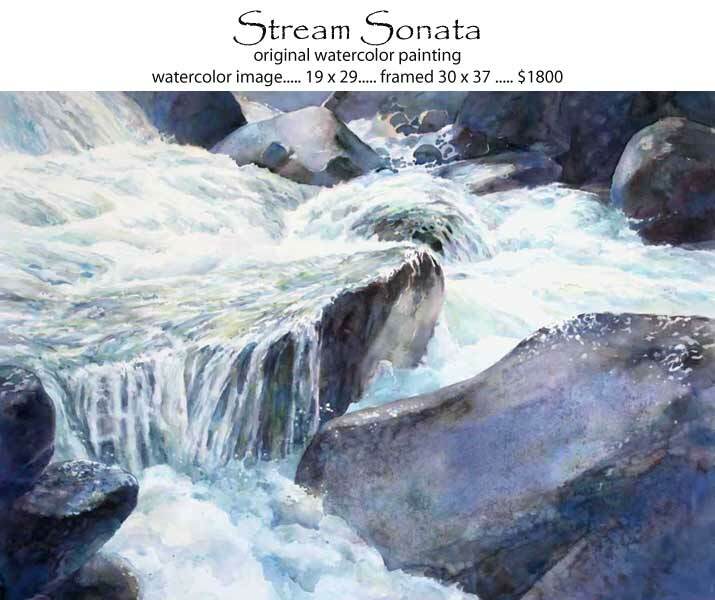 Therefore, each painting usually bears a water name and a music name. Joyce finds the exploration of water themes to be infinitely various and challenging (never the same river twice). 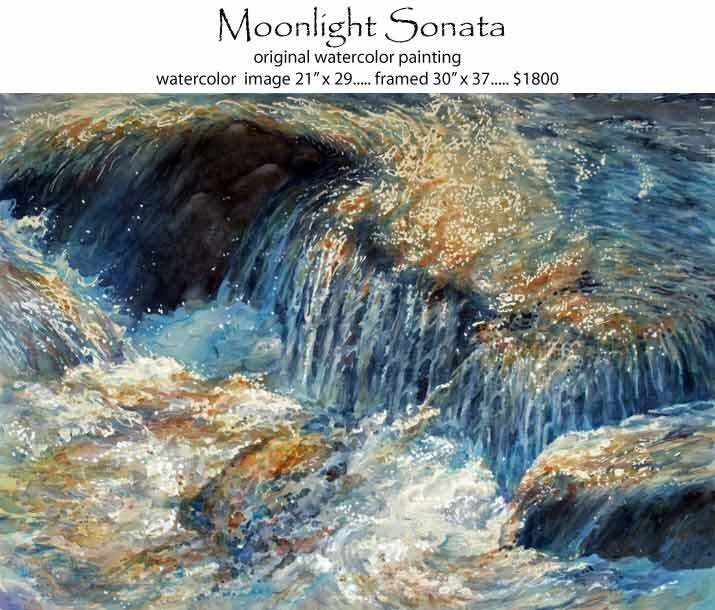 Reflective light, transparent or translucent passages, varying moods and rhythms all provide endless expressive painting possibilities. 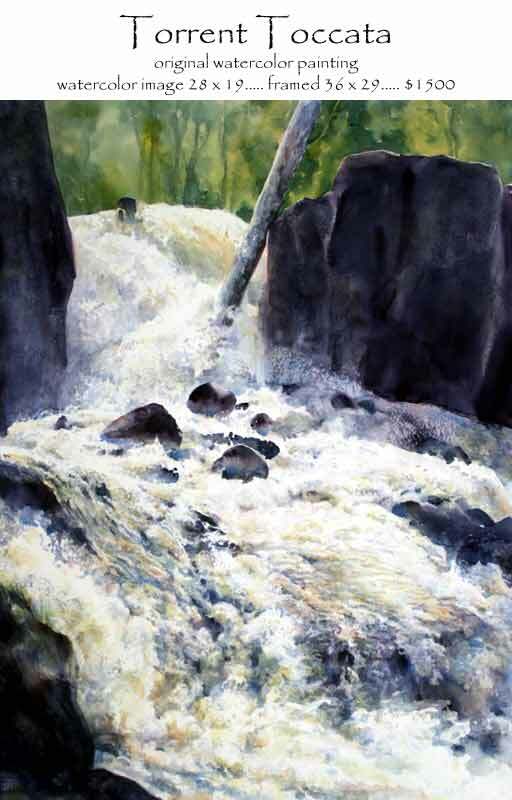 Moreover, she believes there is a wonderful metaphor for life implicit in the journey of a river.